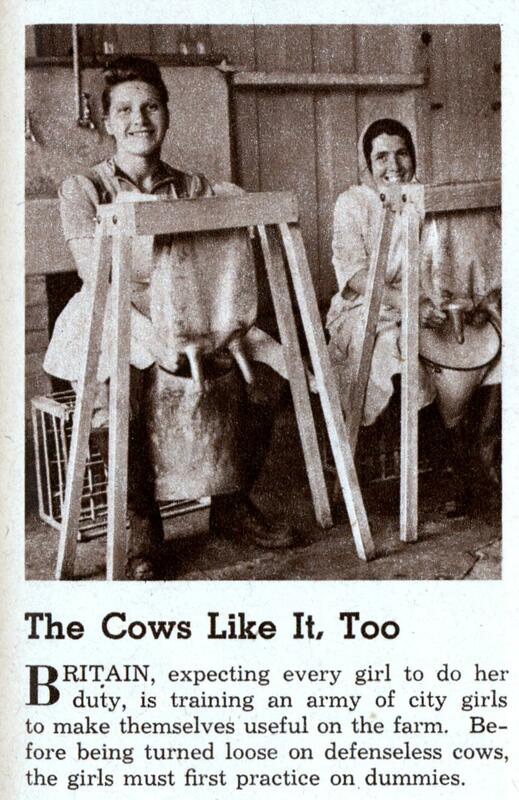 BRITAIN, expecting every girl to do her duty, is training an army of city girls to make themselves useful on the farm. Before being turned loose on defenseless cows, the girls must first practice on dummies. 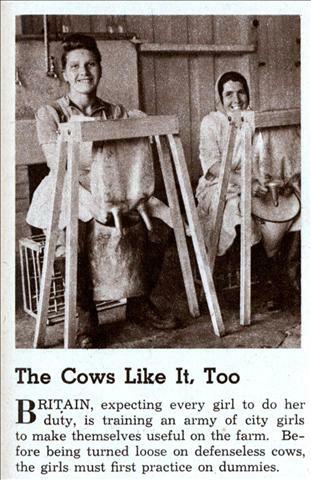 I can see training city girls to make them more efficient and waste less time, but somehow I don’t thinks the feelings of cows during wartime was a top priority. Myles, Myles… you’re missing the joke.